We decided to do our beach day on Tuesday after experiencing so many people at the beach on Sunday. We got to Tirrennia about 10am and found a beach along the strip that had lots of parking and room for us to lay out. After some negotiating with the *ahem* nice lady for a few beach chairs and an umbrella, we got settled in and made our way out into the water. The water was pleasant - not too cold, but definitely not warm. 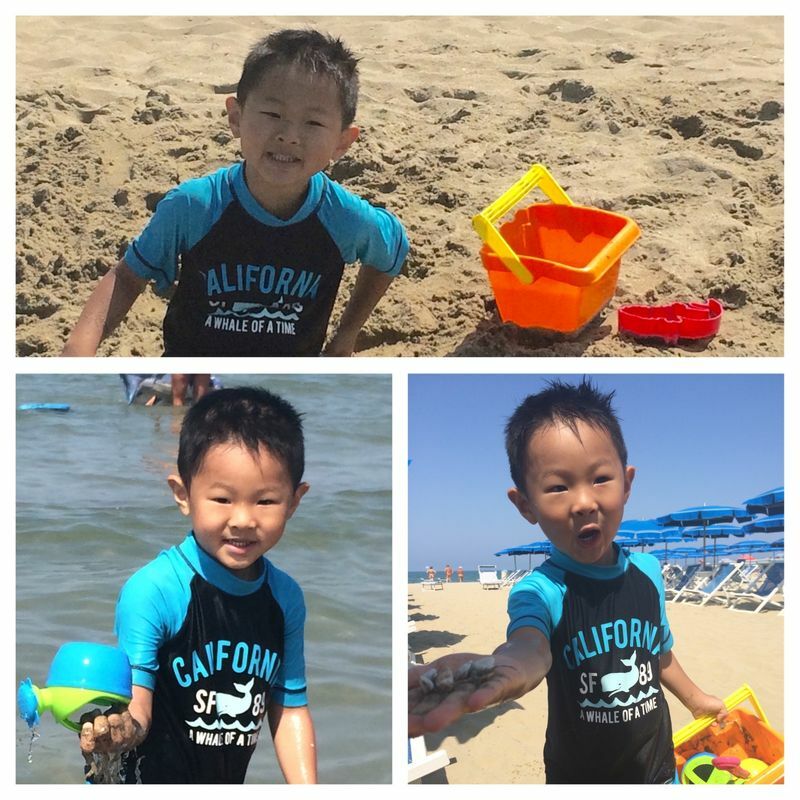 Cooper loved the sand and the sun, and he got started building a sand castle right away. After about 2.5hrs of sand and sun, we decided that we liked the idea of the pool better than the beach - so we went back to Camp Darby and spent the rest of the afternoon there at the pool. 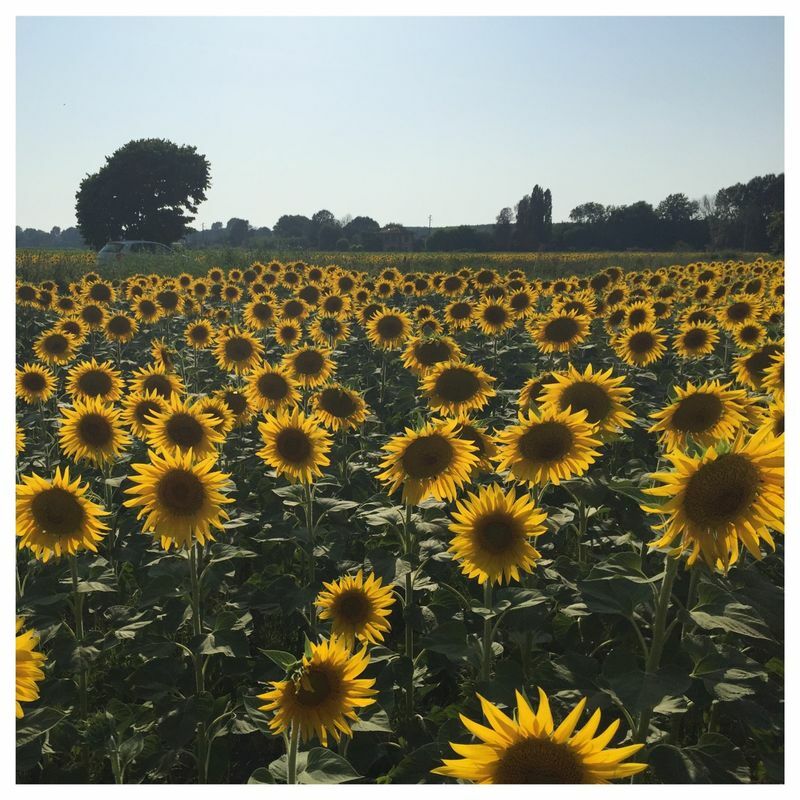 Between the beach and Camp Darby we found a few sunflower fields - we happened to be in Tuscany while the sunflowers were blooming - beautiful!